See for yourself how some of our clients have "tagged" us with insight about their experiences with Don Kirkish and Wag Time Dog Training!! I adopted Georgia last year from the pond in Florida and even though I thought she was very well behaved and almost ready to be a "show dog" lol., Don worked wonders with her and me both! 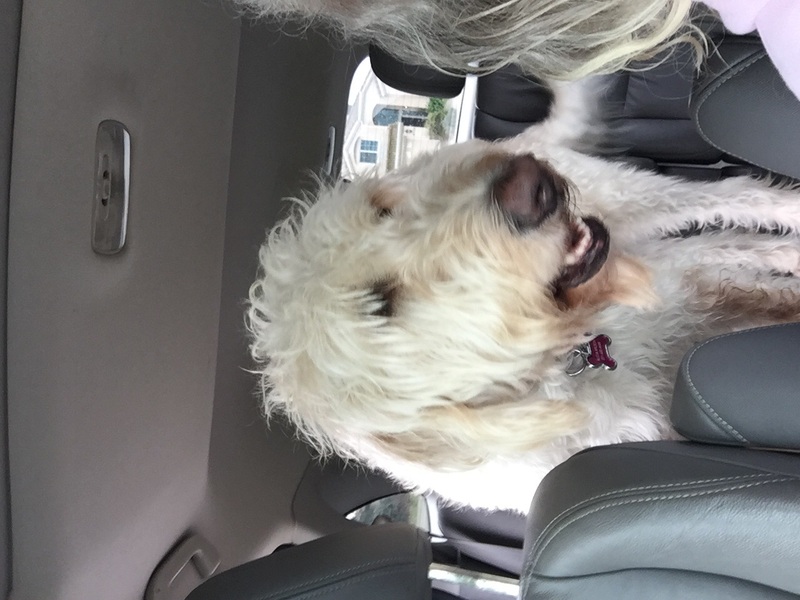 She's a very long legged Labradoodle and now we are able to go anywhere and do everything togethe. She even flies back and forth from California to Florida with me at least once a month.she does commands perfectly while we go through the busy airport security checks even with no leash at all!She didn't even know how to heal or stay before we hired Don.we really got our money's worth. The hardest part was for him to teach me! Thank you Don! And Georgia sends you big slobbery kisses! Mia - a 5 year old Staffordshire Bullterrier rescue from the Sacramento SPCA. Mia is a great house dog, good with childern and starngers, gets alone with our two cats. But Mia does not like other dogs or squeals. When Mia would see them, she would pull and become hard to manage.wanting to engage and fight. We tried training offered by the SPCA and this training did not fix our issue. They were more into tricks and treats instead of behavior. Don was able to teach Mia how to behave around other dogs. Mia still does not like them, but Mia is learning she is expected to behave around them. The most important part of the training brovided by Don was he took the time to teach my wife and I how to manage Mia and control her bad behavior. Don provides dog training for both the dog and owner. Don's training method was exactly what Mia needed and was exactly what we were looking for. We can now walk Mia around other dogs, have her sit or lay down as they pass by without issue. The best part is when people comment on what a well behaved dog we have. And she is, thanks to Don. I cannot speak highly enough of Wag Time Dog Training. Don is personable, professional and skillfully talented. I own a very large pit bull we named Louie. Currently at 15 months, he weighs in close to 90 pounds. Louie was like a bull in a china shop in our home, jumped up on visitors, or people on the street, and would pull so hard on leash that I could not walk him for fear of falling. He knew no commands. The transition has been amazing! A few weeks with Don, and he now, sits, lays down, comes on command (even off leash), relaxes on his bed when I need him there while entertaining guests. Those are just a few of the many improvements Don's training afforded. Louie is still growing, and our family is enjoying him even more, as a well behaved companion. It was amazing what Don accomplished in what seemed like a short time. Don genuinely cares about both dog and owner. During the process, he was "there" for both of us. He welcomed times when I needed to phone him between visits with concerns and patiently led me through steps for remedy. Although our sessions are over, he still checks in on us and welcomes texts or calls. Don is now a beloved part of our family. I am so glad that I chose him over other trainers...He's the BEST! Several words describe Don. Kind, caring, professional and amazing. 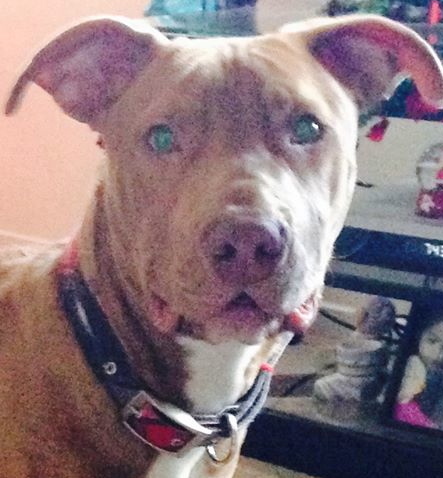 Zeus is 100 pound mastive/pitbull mix. He doesn't know he is such a big dog. People entered my home and he would immediately welcome them by jumping up on them (and sometimes almost kocking them over). In desperation I looked for trainers. I stumbled by Don's name on the internet and immediately emailed him. Don responded quickly and we discussed zeus over the phone. With hesitation, I schedule the first "trial session". Well as soon as I met him, I realized he was a God send. He spent time getting to know zeus and myself. He said he definitely could work with zeus. I was amazed at how he trained zeus and trained me to handle zeus. Zeus became a different dog. Don is patient both with Zeus and myself. He is genuinely caring. I am now able to invite guests over feeling more relaxed that zeus will not be jumping up on everyone. Don goes above and beyond what you would expect of a trainer. He is not just in business for the money, but because he is a dog lover and very personalbe with their owners as well. Don't look further, try Don's introductory session and I think you will see in the first session how lucky you are to have found a wonderful trainer for your dog. i have been working with Don for a year now training our Aussie-Doodle, and we saw immediate improvement in our puppy's behavior from the very first session. There are not enough words to describe how wonderful our experience with Don has been. Don is an advocate for and trains utilizing positive reinforcement methods. Don is down-to-earth, extremely professional, and has a kind and gentle disposition with my baby puppy. We opted for Don's extended package because of the unique traits of our breed and it has been an awesome and wonderful experience. I highly recommend Don, he clearly loves what he does and is the best in his profession! 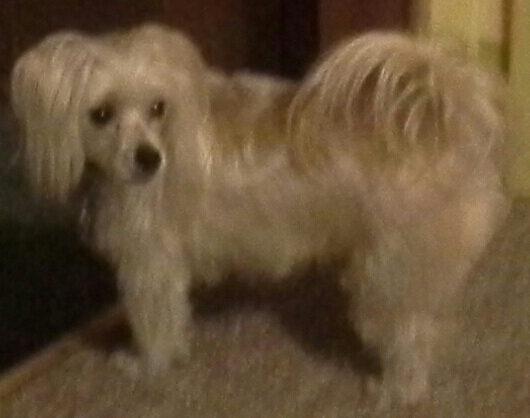 I rescued Princess, a 1 year old maltese/Yorkie 2 years ago from SPCA. It soon became obvious that she had an aggression problem especially toward men. Nothing helped to overcome the problem until the day I contacted Don. He has such a loving and caring way about him that Princess, although wary and reserved began to respond to him. Don taught me to be more assertive and confident in my handling of my precious Princess. She and I are working together on what Don was so patient to teach us and we are so thankful for his expertise and patience. Don is my Hero! When my son asked if I would dog sit his four month old German Short Hair for nine days, I reluctantly said okay. Not being a dog lover I knew it was going to be a long week. The first day Fin arrived I saw an ad for Wag Time Dog Training and made a call. That same day Don came out to give me an assessment and I quickly realized he had come to my rescue. Don is such a gentle, professional and ethical man. I could see immediately that this was the man I could trust with giving Fin some basic manners and guidance. Don came every day and the transformation was incredible. He gently put Fin through the sit, stay, heel and down commands with tender corrections and constant praises that kept Fin’s attention and desire to please. More importantly Don’s patience and training of me gave me the confidence and tools for me to help Fin practice his lessons. Don asked questions of us so that he could help Fin assimilate to our life style rather than us having to live on the puppies terms. When my son came home from his vacation he couldn’t believe how far Fin had come in training in such a short time. Don worked with my son so he too could continue working with the best dog in the whole wide world. Don is a pleasure to work with and I highly recommend him with the training of any dog. Having two small dogs, we thought we'd be able to handle the training ourselves. Boy were we wrong! We tried early on training for the dogs at Pet Smart. We tried watching Animal Planet and Cesar Millan, we tried to incorporate some skills we thought were similar to our dogs and try those. Unfortunately, those did not work. We found out every dog has it's own personality like a safe with it's own combination. It took someone like Don, who (to me) is like the real Cesar Millan, and tap into their pyche. He was able to handle their behaviors, habits, and emotions with ease. 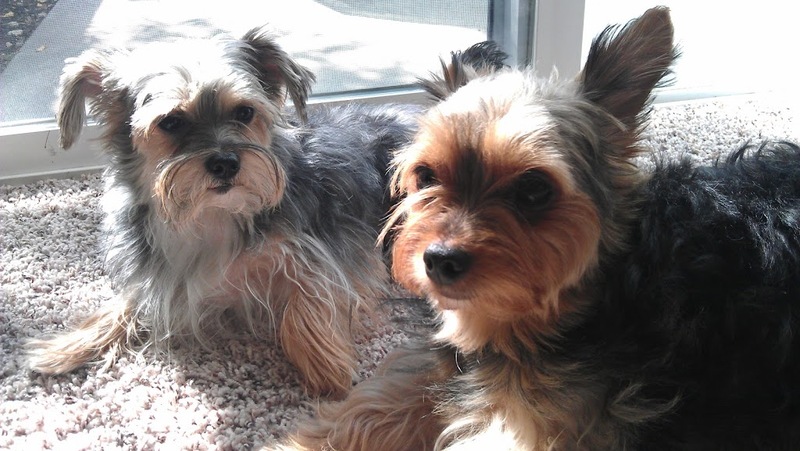 We have two half breed chihuahua/yorkie mix's. And knowing that, you know they can be loud, jealous, and hard to handle. I know many people who don't little dogs for this fact. But with Don's knowledge, supervision, and insight as to what we were doing wrong as owners, we were given the right encouragement to not just train our dogs but a live a better lifestyle by changing our behaviorial skills and setting better discipline with our pups. Our dogs are now better and behaving with guests, are able to get along with our baby, and have a greater calm than they used to. This was important for us being we are a growing family with a new baby and it was critical for us that we get our dogs under control before the possibility of something going wrong between the baby and the pups could go wrong. If it weren't for Don, I'm sure we would still be in the situation as we were before or be without our dogs. We are so grateful to Don, we HIGHLY recommend him to anyone looking for a lifelong change in you and your dogs. You won't regret it! It's well worth it!! Don is simply amazing with dogs. He understands their needs and was able to identify my weaknesses on the first visit. He gave me the tools I needed which enabled me to become a better dog owner. I always look forward to meeting with Don. It's a fun and enlightening experience. I didn't think it would be possible for my wife and I to walk our dogs without being pulled, but Don helped us get our big dogs under control, and now we all can walk together. We love working with Wag Time Dog Training! 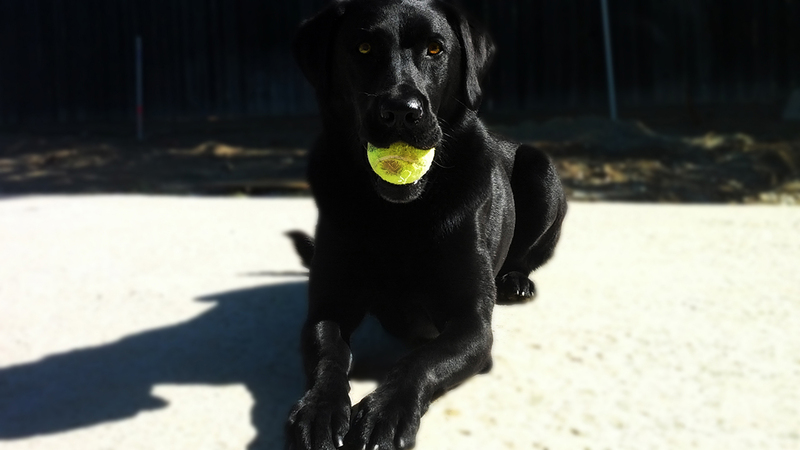 Our dog, Kimba gets so excited to see Don and loves to train with him! 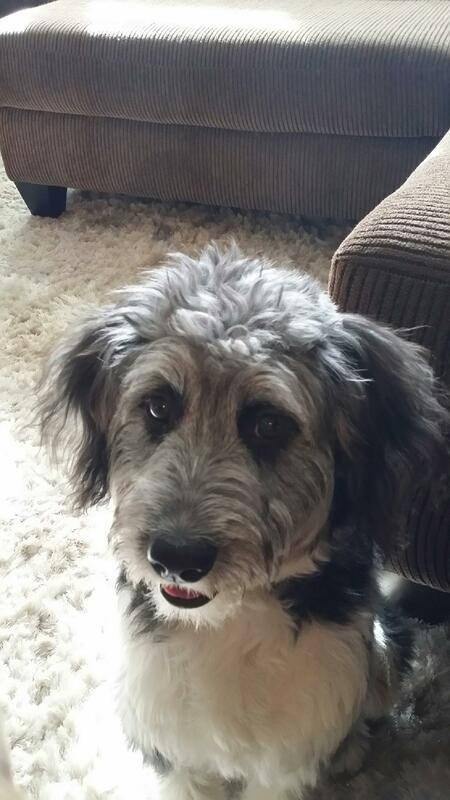 Don understands dogs and helps owners and pets improve their relationships. Our family enjoys working with Don so much that he has been named "The Dogfather"
I have watched Don work (train) his own dogs over the past couple of years and have seen first-hand how well behaved they are. He is a very patient person and loves working with dogs and dog-owners, alike. It is very clear this is far more than a business to him - it is a passion. His love of dogs and his passion for training, will greatly benefit those who choose to work with him. The things Don was able to do with Maddie were amazing! She was an awesome and well trained dog to begin with but being a lab and her endless energy we needed a little help on the leash and with jumping on people. Within the first 5 minutes with Don, Maddie was on a leash sitting next to him waiting for a command! AMAZING!